Well this is Sachin Tendulkar's last test series and I came across this very interesting document on the internet. Just wanted to share with all the blog readers who also might be cricket lovers. Every cricket and Sachin lover will love to read through this document. 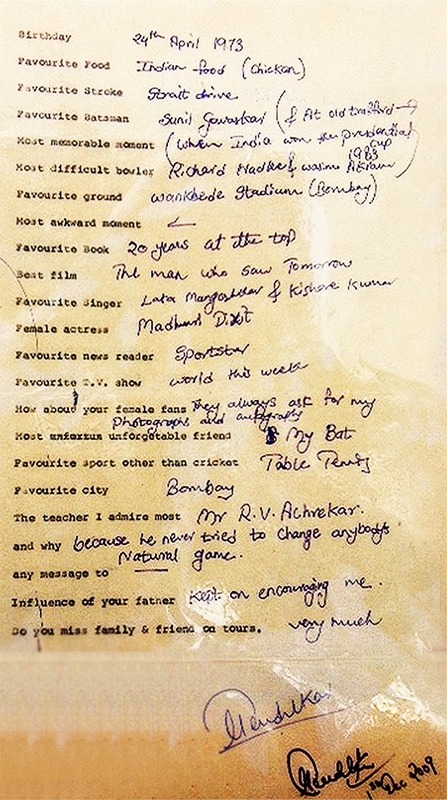 Its Sachin's hand written document at the age of 16.